Acocks Green opened in 1852 on the GWR's Oxford & Birmingham Branch, was renamed 'Acocks Green and South Yardley in 1878 only to return to Acocks Green some years later. 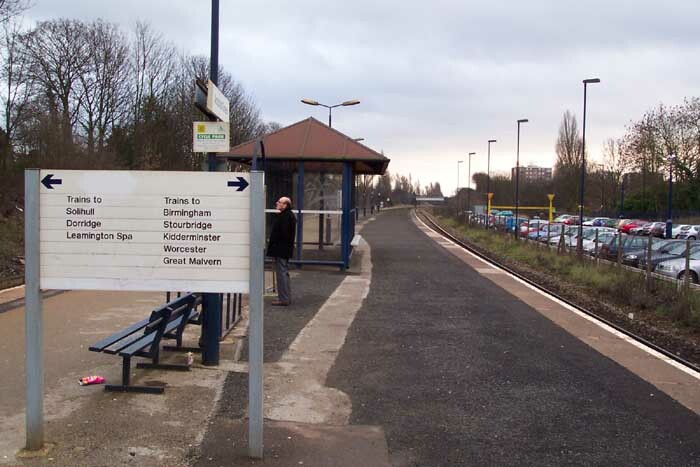 Unlike Tyeseley, the station immediately preceding Acocks Green heading away from Birmingham City Centre, this station has been stripped of not only much of its character but also of its tracks. 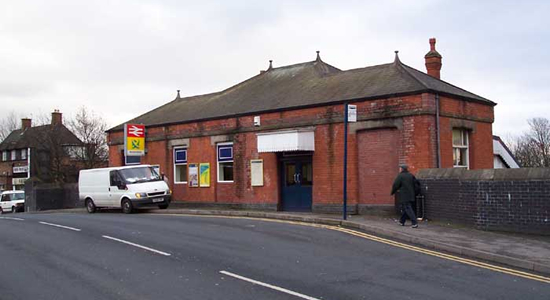 Above we see the entrance building on Sherbourne Road which has remained fairly intact since its construction and raised my hopes of finding a well-maintained period station: these hopes were soon dashed. Above-left we are looking down at the station from the Sherbourne Road bridge to the left of the station building as we looked at it in the photograph at the top of the page and in the direction of Leamington. Firstly, I was disappointed that the platform waiting rooms and large overhanging GWR canopies had been removed - they were identical to those at Tyseley. 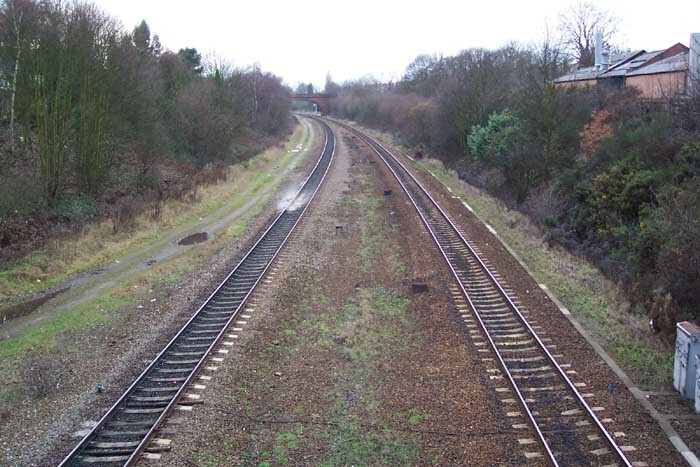 Secondly, the above-right photograph taken from the other side of the station building shows that the trackbed has been reduced. 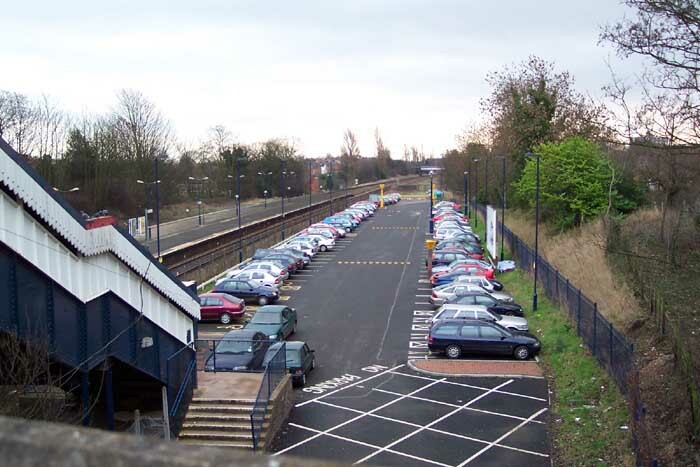 The area which is now the station car park used to house the relief lines (two tracks) which were installed in the inter-war years to handle increased freight traffic and the expanding commuter demands from the City's suburbs. 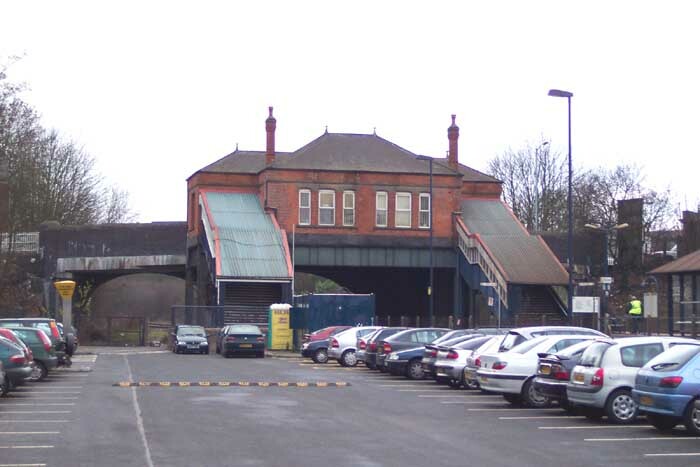 The bottom of the stairs down from the station building, therefore, once led down to another platform which stood along the line of the left-hand row of parked cars. 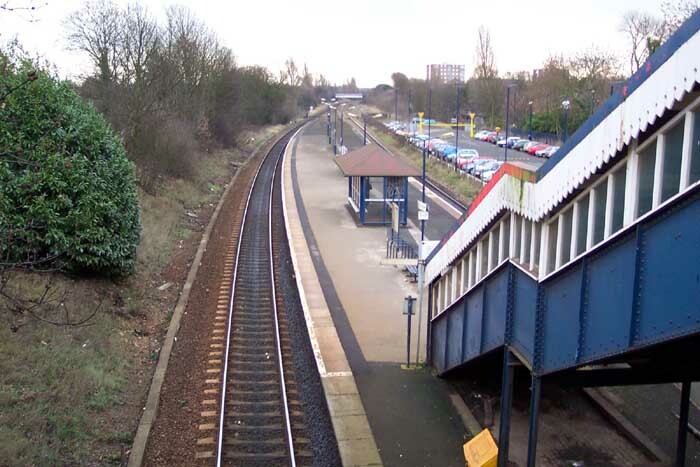 Additionally, a footbridge spanned the station at the far end of the platforms from the point at which this photo was taken. Above-left we see the only remaining platform at the bottom of the entrance staircase from the station building on Sherbourne Road bridge. Gone are the canopied platform waiting rooms and what we have today is a bus shelter - albeit an more interestingly shaped one than at many stations, but a bus shelter all the same. The site of the old island platform and relief lines can be seen to the right. Above-right we are standing in the car park on the trackbed of the old relief lines looking towards Birmingham through the Sherbourne Road overbridge. 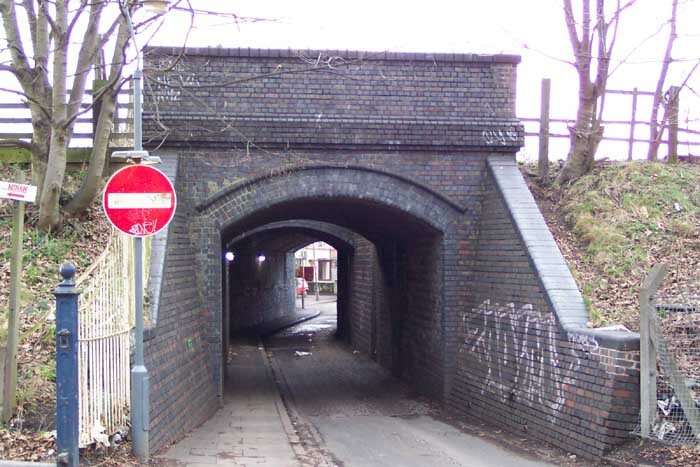 We can see that as the relief lines were a later addition to the station an additional archway was constructed to carry Sherbourne Road over them. The staircase which once led to the now removed island platform now forms the entrance to the station from the car park. 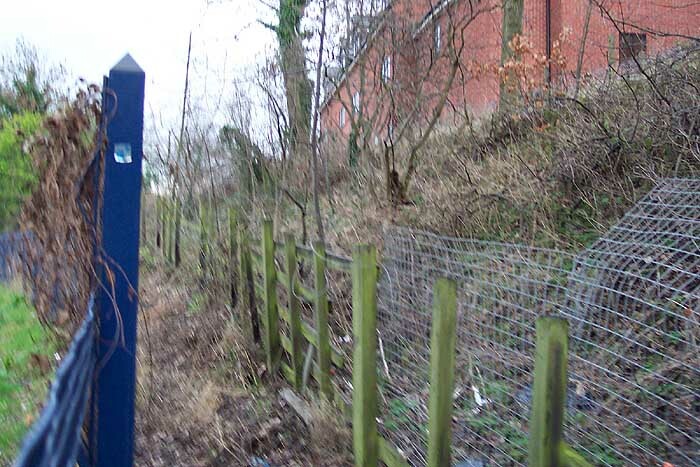 Above-left is a closeup of the preceding photograph but also shows the remains of a pathway down to the station on the left-hand side embankment. Above-right is a closeup of this pathway marked today only by a partially rotted-away hand rail sloping down the embankment. The point at which this photograph is taken is the exact spot that used to house the semaphore signal gantry for control of the relief lines. Above-left we are on Sherbourne Road bridge looking towards Tyseley at the much reduced number of lines which is clearly indicated by the width of the trackbed. Above-right is a curiosity that I had to photograph as it is one of the most endearing structures I have encountered. 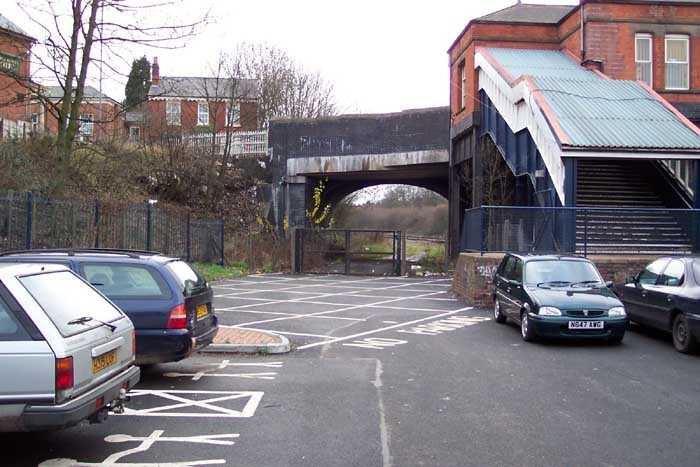 This bridge carries the railway over Roberts Road just at the point of entry to the 'Park and Ride' car park which is on the left in this shot. The diminutive stature of the bridge cannot be appreciated in this photograph suffice it to say that it is all but too narrow for vehicles hence the 'no entry' sign and has retained a cobbled roadway.